Just when you've beaten off a TV salesman trying to hook you into 3D, now there's a whole new high definition format on the horizon. It's called 4K "ultra high definition" and instead of displaying 1920 x 1080 pixels like today's HD TV's do, it ups the definition ante to about 3840 pixels x 2160. That's a bunch of really tiny pixels! Should you care? Well, I guess that depends on how big your TV is, how deep your pockets are, and how much content is available. To answer the last question first: not much, and that isn't likely to change soon. On the upside, when Hollywood scans movies for high def release, they often do it at 4K, even though the best we can get now is 1080p – so there's a library being built that people are undoubtedly waiting with baited breath to exploit. But for TV shows or movies shot digitally, 4K means all new equipment through the whole production chain – undoubtedly very pricey stuff on which they'll want to make money. And the U.S. economy isn't such right now that they see much market for all this capital investment, if they have their thinking caps on. That may be a big if, but it's there. As for screen size, even right now it's debatable whether you really need 1080p instead of the also very good 720p (1280 x 720 pixels) if you only have one of the smaller sets, say under 40 inches. I can say this from experience, because I have an older 37 inch Samsung that's only 720p capable, and Blu-rays look just fine on them. Yet I definitely prefer 1080p on my 50 inch LG plasma and on my 106 inch screen fed by an Epson LCD projector. And being a video snob, I look forward to trying 4K once it blooms. It should look fantastic! Heck, I'd rather have that than 3D, which my aging eyes don't see properly anyway. I don't care too much about 4K on the 50 inch panel, because 1080p can be pretty fantastic on its own, but am very interested in the 106 inch setup. One estimate I read predicted that shipments of 4K LCD TV's globally will reach just over two million units by 2017, but the same estimate says that's less than one per cent of global LCD TV sales predicted by then. So no big deal – and if this turns out to be true, manufacturers may be loath to start cranking out sets that few people want. Still, Sony has said it's already on board with 4K, having announced an 84 inch LCD TV they expect to price at a whopping $25,000. I've also read that LG Electronics has a similar screen sized 4K unit for $20,000, while Toshiba offers a bargain priced – comparatively – model for 10 grand, though the tradeoff here is that it's only a 55 inch set. And at least one player maker – and a great one at that – is jumping aboard the 4K bandwagon. Oppo, who make the best DVD and Blu-ray players I've tried (I use them as my reference units), has announced the BDP-103, a universal player that features 4K upscaling for all video sources. Not only that, it has HDMI inputs as well, so you can use it to upscale your other video sources, such as your cable or satellite receiver or media player. Naturally, you need a 4K TV to take advantage of this, but Oppo jumping into 4K this early shows there will undoubtedly be lots of support for the format as it continues to edge its way into the market. But as far as TV's are concerned, further muddying the waters could be that 4K LCD's may just be a stopgap measure until large screen AMOLED panels can be made affordable. AMOLED wouldn't necessarily make LCD's obsolete, just inferior to the dazzling picture I saw presented on very small AMOLED screens at the Consumer Electronics Show a couple of years back. I can't wait to try a 106 inch or bigger AMOLED! I expect 4K sets (and whatever media players connect to them, perhaps new generations of Blu-ray players such as the Oppo mentioned above) will be capable of up converting conventional HD to 4K – and while stuff up converted to 1080p from lower resolutions can look very good, it still isn't as good as the native 1080p. This may be the case with 4K, too, in which case the up converted picture will probably be better than 1080p for your existing stuff. Time will tell. Then there's the issue of streaming, which is becoming more popular. I've only tried one such service, via hanging out with my son when he was using his Netflix account, and the picture quality is all over the map. Streaming across my home Wi-Fi network is also problematic, depending on issues such as file size and format, etc. Sometimes a program will stream fine, but I often have issues trying to stream higher definition sources. So bandwidth issues will have to be addressed before streaming 1080p really works well – and you can imagine the bandwidth that 4K will require! 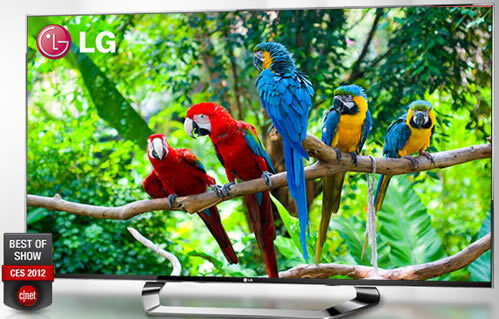 So should you hold off on buying that nice LED LCD TV you've been eyeing in the store? I'd say no. You'll still get several good years out of it before there's enough 4K content to worry about – if, indeed, it ever comes to pass – and by then 4K prices and availability may have come down to earth. And if it doesn't happen that way, you haven't wasted your money chasing an unfulfilled video wild goose. 4K is great news for a tech fan and writer, but it's also another leap onto the merry-go-round for consumers, who seem to be increasingly treated as walking wallets by the consumer electronics industry.